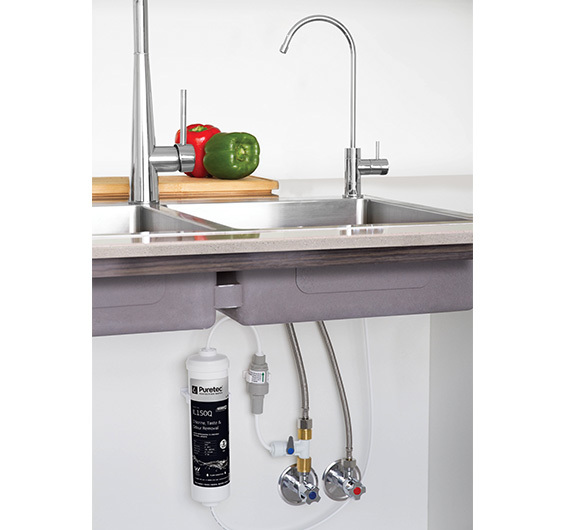 Compact, easy to install filter system for safe and healthy drinking water. 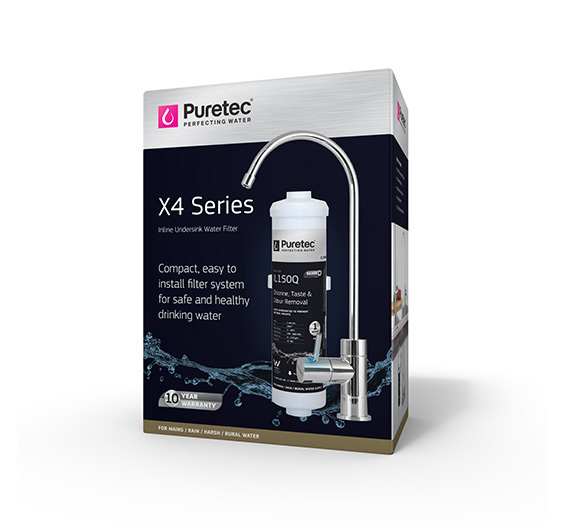 The Puretec X4 Series system is designed to effectively reduce sediment, bad taste and odours to leave you with beautiful tasting drinking water. • Silver impregnated to prevent bacterial growth and extend cartridge life. 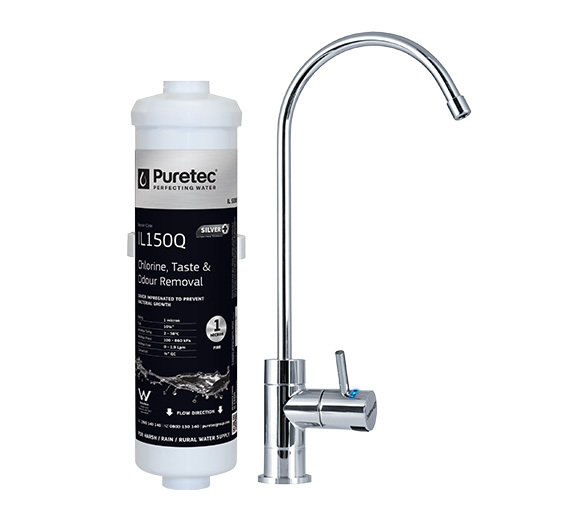 • Effectively reduces sediment, bad taste and odours in water. • Doesn’t remove essential minerals or fluoride. • Multifunction control valve included for pressure reduction. Important Note: Use only genuine Puretec replacement cartridge. ^10 year warranty is 1 year parts and labour, plus 9 years parts only. Excludes cartridges. *Micron Rating is nominal.